I’m a small town girl that likes to stand out in a crowd, without looking overstated, so Nicole Miller is my go-to designer for most of my special occasions. In fact, my wedding dress was no exception – no other designer would do for my big day. Needless to say, I’m a huge fan! I am crazy about sequins and lace this season and nicole by Nicole Miller totally came through on these trends in a big way. 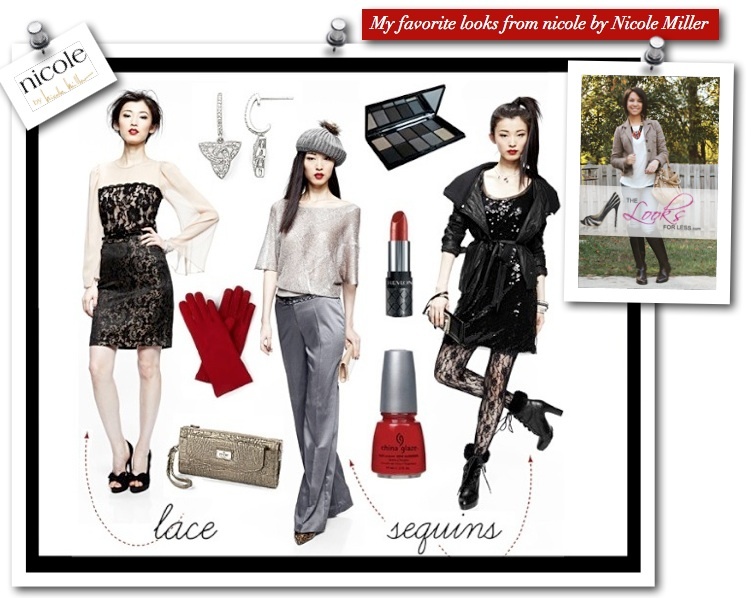 Nicole Miller is notorious for designing classic pieces with a modern twist – I’m loving the sheer top with lace. It’s all about the details. So how do I get a good look for less? My go to tip this year has been stalking designer collaborations with affordable merchants. As you can imagine, I was beyond thrilled when Nicole Miller partnered with jcpenney to offer up her incredible designs at “looks for less” prices. There are so many must-have pieces in her latest collection and I can’t wait to add as many as possible to my closet.